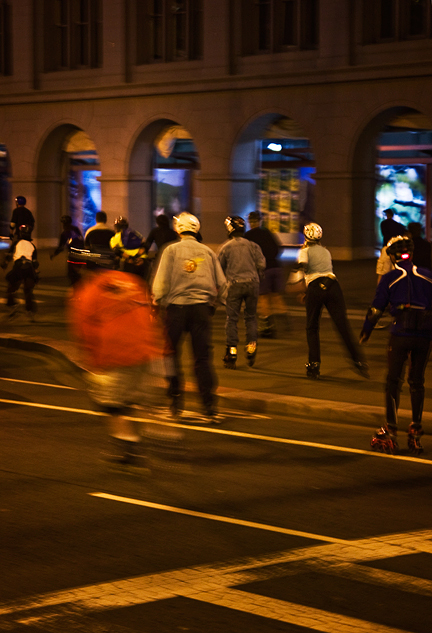 For the past 30 years, an informal group of rollers skaters have assembled along San Francisco's Embarcadero to participate in a mass skate through the city's night streets. The group, which can range from dozens to hundreds, sets off from the Ferry Building at 9:00 every Friday for a moonlight tour of the city. 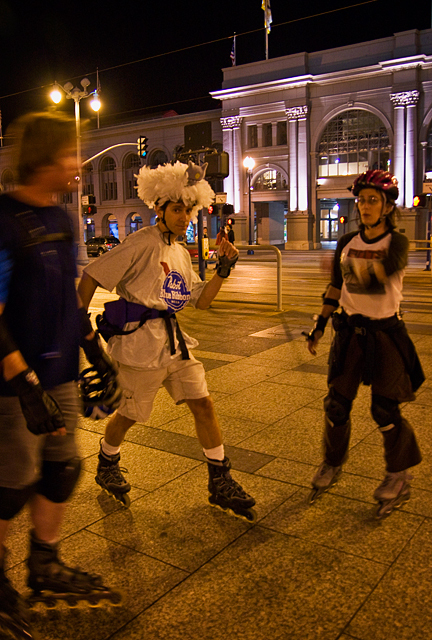 Often dressed in wacky outfits and armed with whistles, glow sticks and their own mobile sound system, the skaters begin a 12-mile tour of San Francisco. 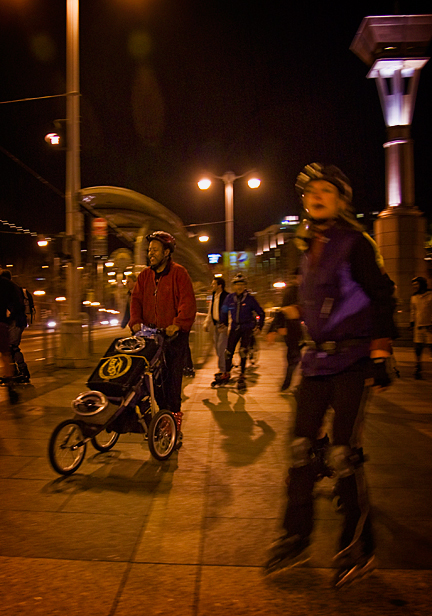 The night skaters are led by David Miles, the Coordinator of the Golden Gate Park Skate Patrol, who lays out the safety rules and keeps everyone organized. Miles (middle photo, in red) leads the skaters past some San Francisco's most beautiful sights, from Aquatic Park into the Marina District, to the Palace of Fine Arts, through the Broadway Tunnel, then into Chinatown, down Market Street and finally back to the Embarcadero. In 1996, the event recorded its highest participation with over 700 skaters. Those interested in the free Friday Night Skate can check out more details here.